With Optima-CRM at the core of your business, extensions built on the same powerful engine allow for highly specialised business processes to be implemented quickly so that your business can start benefiting fast from new trends before your competitors do. Additionally we are enabling functions that in the past could only be performed by 'big companies' who had the means to have custom software created to their needs. Now YOU can be a 'BIG company' without the need of those means! Finally you can now tap into a huge neglected For Sale By Owner (FSBO) market: Owners who never will pay a commission for an agency to represent them in the sale of their property. YoVendo is a new platform for Agencies who can now offer such owners to market their properties without representation nor commissions, against a fixed marketing fee which is not dependent on the success of the sale. While using their existing marketing vehicles, through the automated platform of YoVendo, Agencies can upsell services and fatten their profit margins with the least possible amount of extra efforts. 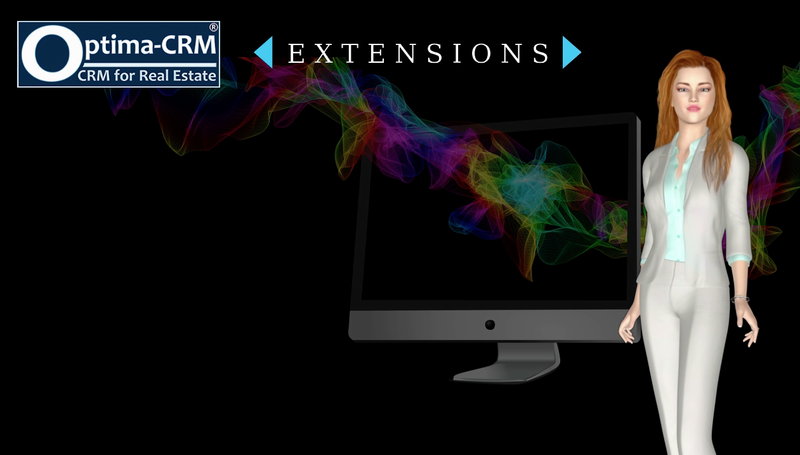 We bring the power of commercialisation of your own development projects, or those you commercialise on behalf of a project owner, to real estate agencies & promotors, without the need for a custom software investment. Now everyone can become its own Master Commercialisation Agency and connect to a network of real estate agencies. This way YOU control the project image, all sales, whilst saving significantly on commercialisation costs. OptimaSys is the maker of custom software for various successful Co-Broking companies in Spain (the traditional commercialisation companies/middlemen) and thanks to our innovative CRM solution extension we have enabled this functionality based on the powerful Optima-CRM engine. Leverage the power of your co-broking network and collaborate with the agencies worldwide that you decide. Let these agencies promote your development in their local markets and bring you the buyers. You’ll only pay these agencies the commissions you would pay to any other agency, without having to pay for marketing or intermediaries. YoVendo: a New Source of Revenue awaits YOU! YoVendo allows you to be an Online Agent for vendors who are looking for an alternative way to commercialise their property without representation of an agency. No matter how much effort an agency does, there is a substantial group of property owners who will never agree on paying commissions for representation in a sales transaction. Until today, for the grand majority of agencies this is a huge opportunity loss where a lot of money is left on the table. 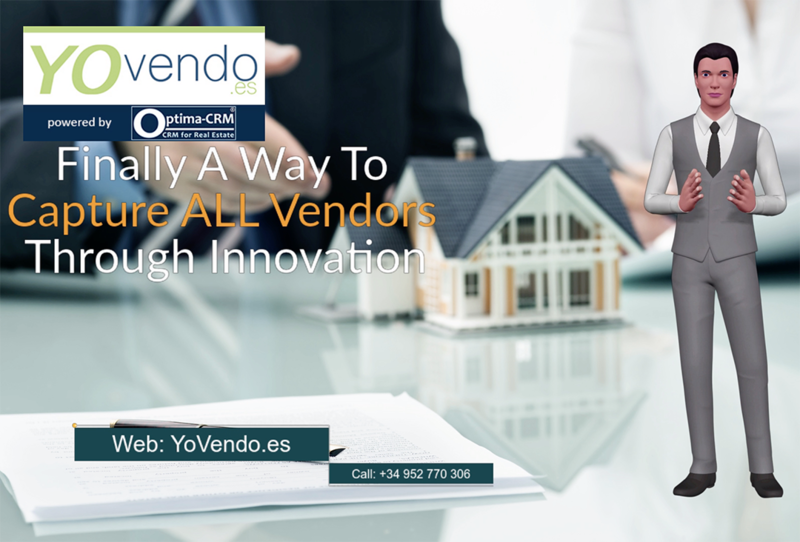 With YoVendo this all changes as you can also offer a solution to that growing group of vendors by offering a self-service solution to list and market their property utilising your already existing marketing vehicles and lead acquisition process in Optima-CRM. For a fixed fee, you allow the vendor to upload its property with all its details, publish them in the marketing mix that you decide, and drive leads directly to the vendor (while you 'own' the lead for potentially other commercialisation purposes). You can even decide to upsell with additional (premium) services which will turn a vendor who would never contract with you, a very profitable client! Are you growing or expanding your company via franchising? Especially for growing businesses and franchising networks alike, we have introduced the functions to manage multiple offices from a central or master office. As master office, you decide who gets to access which data in the group while all are using the same CRM solution. Data protection is required in its broadest sense yet without having to duplicate unnecessary work. Using the multi-offices solution works both for companies internally managing multiple physical or virtual offices, as well as to build out a franchising network where you need to stay in control and have total visibility over each of the offices in your network. Additional functions and reporting can be made available specifically to suit your needs and particular structure. Having this base in place makes it an easy and fast process to adapt it to your needs within a very short period of time. Special pricing applies to franchising businesses and we suggest you contact us for such specifics.